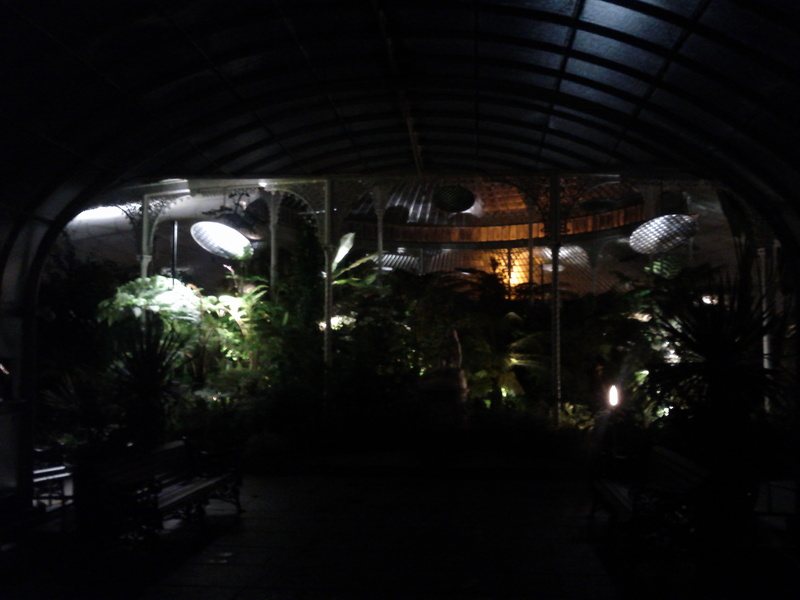 It was the first time I had been to the Kibble Palace, at Glasgow Botanic Gardens, at night and it was remarkable how different the experience was: plants brooding and sullen, shadows cast in sharp relief, the sounds muted…! The Kibble Palace was originally built in 1873 and was subject to major refurbishments completed in 2006. As part of this refurbishment, the late 19th and early 20th century Neo-classical figurative marble sculptures were retained and complemented by new interpretation including a striking series of fused glass panels. Further details of these and the Botanic Gardens Heritage Trail can be found in a leaflet: which also has a remarkable story of where a large part of the Kibble Palace originated from ! 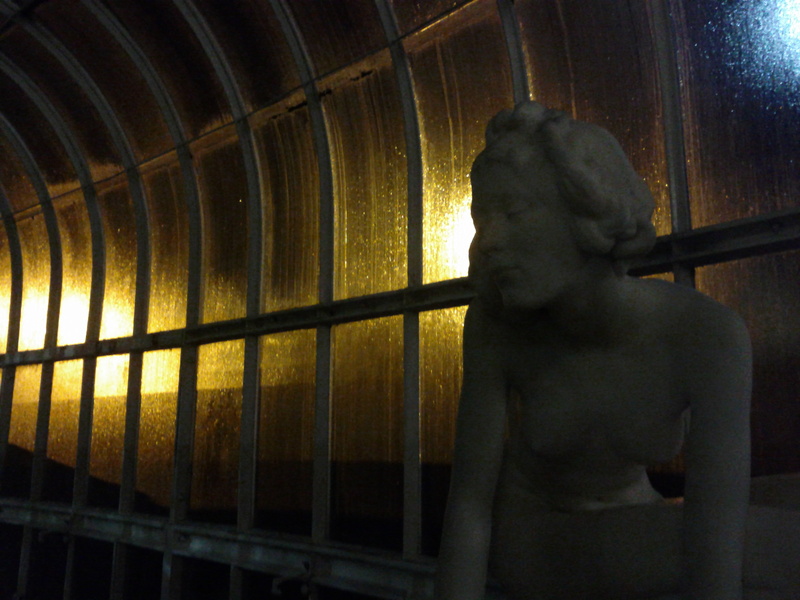 The Kibble Palace has also just been used as a fantastic location for a light and sound installation, Heliotrope. The installation explored the relationships between people and light, in particular the impact light can have on our minds and bodies, and highlighted the long shadow that can be cast by Seasonal Affective Disorder. 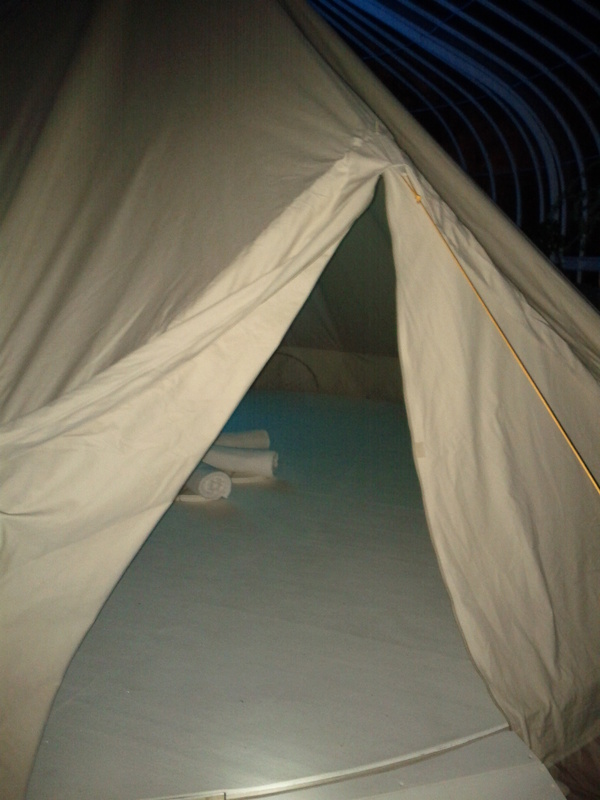 The installation, subtle and compelling, really needs to be experienced, as it comprised a remarkable sound scape of resonant drones and chimes, by sound artist Hanna Tuulikki, but with a haptic element to this with sound (I think) in part emerging through the floor. Gradually changing hues, levels and directions of light evoked, diurnal rhythms and annual solar motion, but appeared to be interspersed with micro-flashes of light. If the Palace of Light and Shadows was brought alive for me through Heliotrope by the installations producers Trigger, I cant wait to see what they do next following Zombie Lab…. 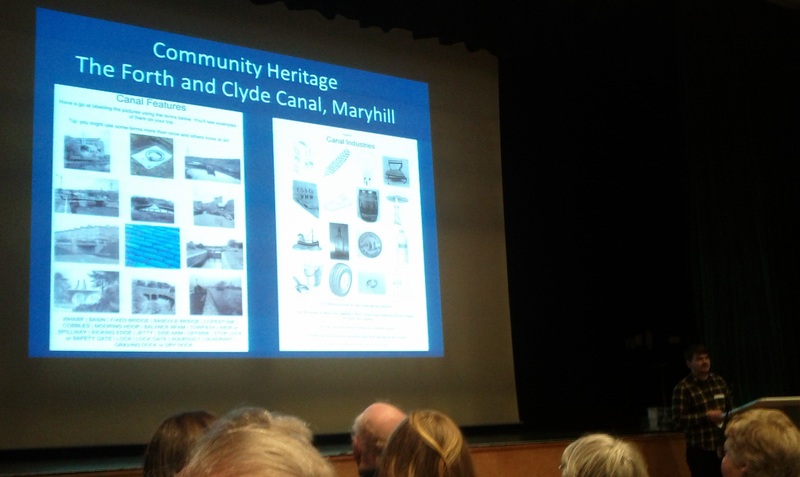 Community archaeology and heritage projects in Scotland have grown remarkably in numbers in recent years. This growth can in part be attributed to the results of the RCAHMS run project, Scotland’s Rural Past, Shorewatch by The Scape Trust, and the work of Archaeology Scotland, such as Adopt-a-Monument, together which have helped increase the capacity for community led archaeology and heritage projects. The ways in which Scotland’s communities have been engaging with there heritage was recently explored at Scotland’s Community Heritage Conference 2012. On the first day of the conference there was a wide range of presentations about community led archaeological and heritage project from across Scotland. 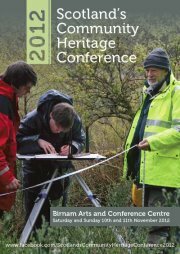 These included: the work of the Garden History Society and Angus Landscape Survey Group in recording historic elements of local landscapes; the Clyne Heritage Society on the Brora Salt Pans; excavations at Baliscate, Mull; the work of NOSAS at the Mulchaich, Ferintosh; and insights about the establishment and work of the Friends of Perth and Kinross Heritage Trust. What became apparent very quickly, from the exhibitions and presentations on the day, was that there was a remarkable range of skills amongst the groups. Combined with their energy and enthusiasm, it was a truly impressive and inspiring series of project results which were presented. With a warmth and good humor amongst the conference delegates (and learning that apparently all Scottish Community Heritage Projects were fueled by cake !) it was a great day. I really look forward to hearing more at next years conference about the successes of Scotland’s communities who are actively engaging with their archaeology and heritage. There is a strong tradition of artistic practices, such as the work of Richard Long, which are mediated through walking. Equally, long distance walking routes are an increasingly important way for people to explore the diversity of landscapes which can be found in many countries. On many of these routes signage plays a significant role in guiding the walker. In some cases, these routes are also the focus of other art works. One example, is the Southern Upland Way in Scotland, which is the first and, at 212 miles, one of the longest distance coast to coast routes in Britain. The Southern Upland Way has been the focus of an interesting arts project, Waymerks, which drew inspiration from archaeological sites along the route. 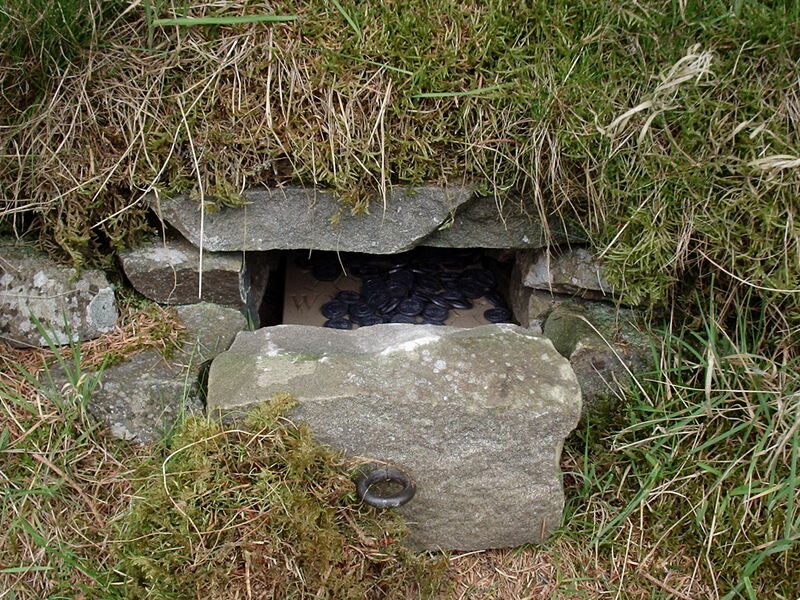 Ten years ago, ‘kists’ (stone or metal boxes) were placed at thirteen locations along the route within which could be found hoards of metal coin (merk) like tokens. They were designed and produced by sculpture John Behm, who incorporated images into the tokens of a range of artefacts and sites that related to the landscapes the Southern Upland Way runs through. A New Hoard of Waymerks was established in 2007 with a new set of thirteen tokens with designs produced by school children (details can be seen from a trail leaflet) and artist designed ‘Kists’. It would appear that the supply of Waymerks ran out a couple of years ago but it has been a few years since I have walked along the route, so I do not know what can be found still…. 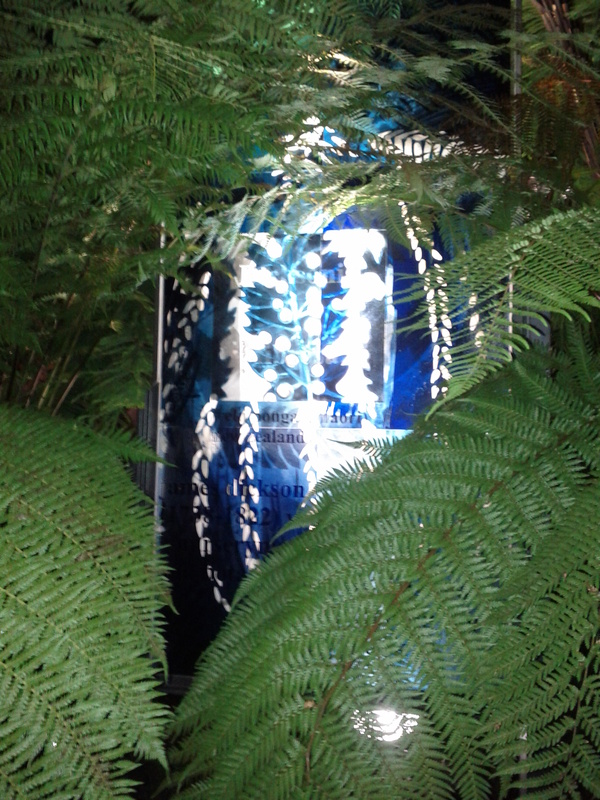 Has any body found a Waymerk recently ?